The Refugee Crisis in Europe is tearing it apart and all of this began with a unilateral decision by Merkel when her polls declined because of her tough policy on Greece. The refusal to compensate Italy and to demand they take in refugees but denies them the right to send them north proves the very point that I have been getting from Italy behind the curtain – they feel they are an occupied country. Italy said it will seize two migrant rescue ships in the Mediterranean, as this refugee policy of the EU continues to worsen. We are up against politicians in Brussels and Germany who simply refuse to admit that they made serious mistakes. They fear that admitting that will ruin their personal careers so the entire European Union must suffer. 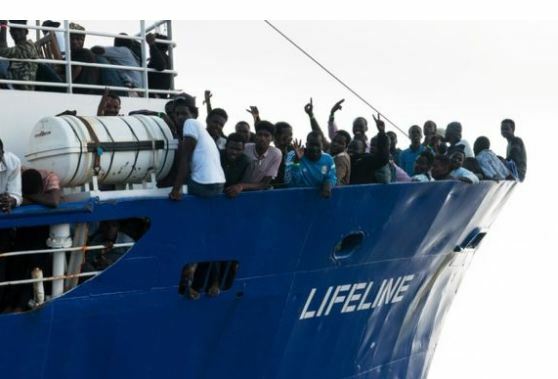 Now the two German NGO ships carrying refugees who are really economic migrants looking for a free lunch “will be seized” to determine their legal status according to Italy. The response from Italy comes on the heels of the insensitive remarks of French President Emmanuel Macron who called this the “leprosy” of anti-EU feeling, which is only angering the Italian populist government and the people. This is where this feeling that is related to me is building that they have NO SAY in the fate of their own country and they have simply become an occupied country as if they lost the war and Germany won. Italy sparked the fresh round of discontent earlier this month when it refused to take in the Aquarius refugee ship, which was carrying 630 migrants rescued off the coast of North Africa. Malta also refused to accept the ship and so it went off to Spain. If Spain refuses, Greece, and Portugal, then perhaps the ships will go beyond the Pillars of Hercules and sail to France and Belgium so Brussels can be inundated itself. Perhaps then the policy will change. « Euro Members to INCREASE debt before the ECB stops buying!